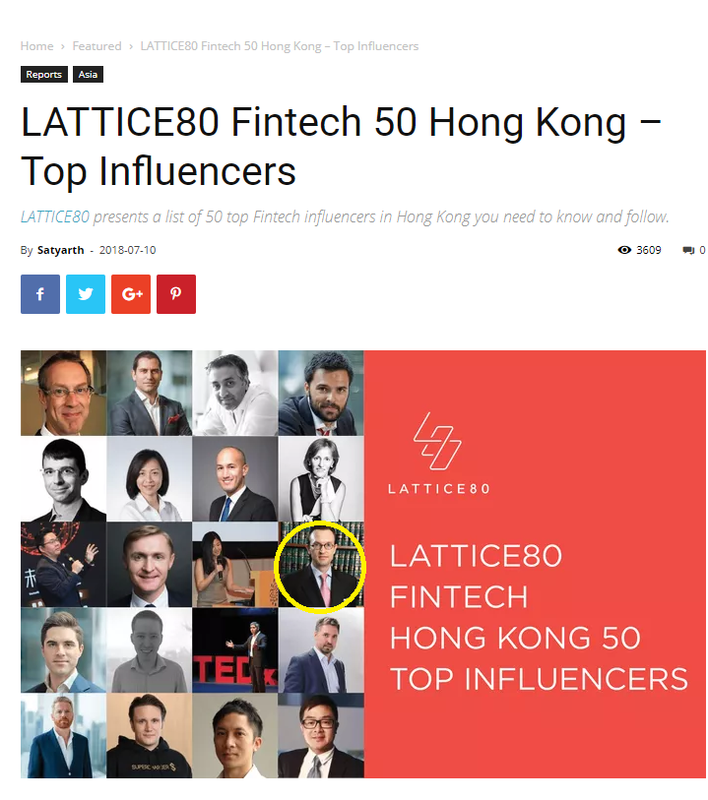 LATTICE80, a global Fintech hub based in London, has been identifying key people that contribute to the Fintech industry as influencers through action. 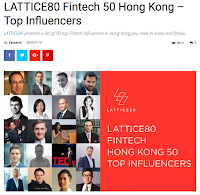 Their recent list published on 10 July 2018 identifies the top 50 fintech influencers in Hong Kong "whom you must follow to keep in the know of latest developments and trends in the industry". 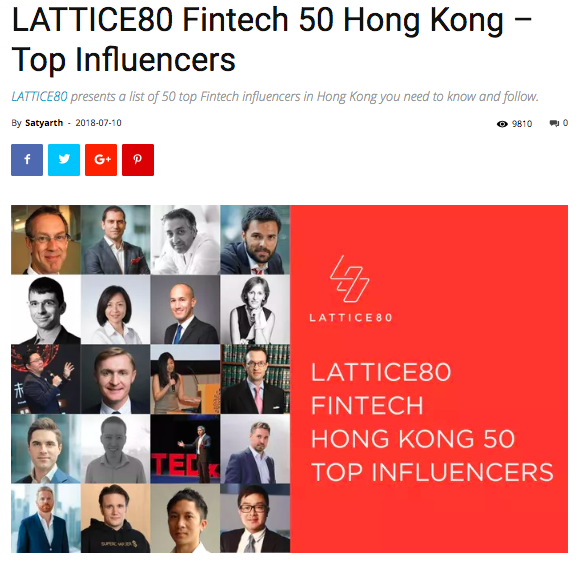 We're pleased to see Professor Douglas Arner, Kerry Holdings Professor in Law, and PhD candidate Janos Barberis (SuperCharger and FinTech Accelerator) were both recognised on this list. As a Council member of Hong Kong's Financial Services Development Council (FSDC), Professor Arner recently attended the FSDC's press conference on 22 June 2018 releasing the report entitled "Building the Technology and Regulatory Infrastructure of a 21st Century International Financial Centre: Digital ID and KYC Utilities for Financial Inclusion, Integrity and Competitiveness". 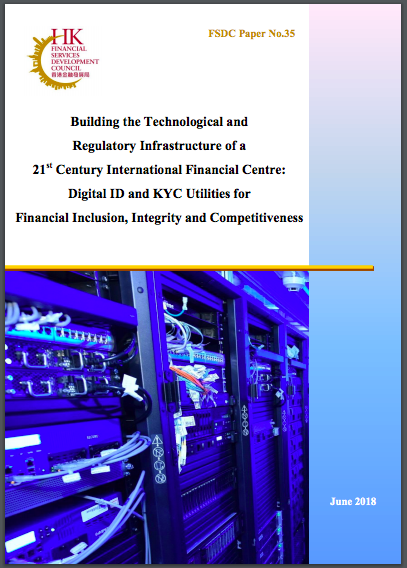 The report presents "the central elements of an essential strategy to put in place the necessary technological and regulatory infrastructure for digital identification and eKYC to support Hong Kong's role as a leading 21st century international financial centre" (p 2).